I don't know about you but I often find myself going through fazes of complete writers block where no matter how hard I try, I just cannot come up with any blog posts that leave me feeling inspired or write a post that sounds coherent. 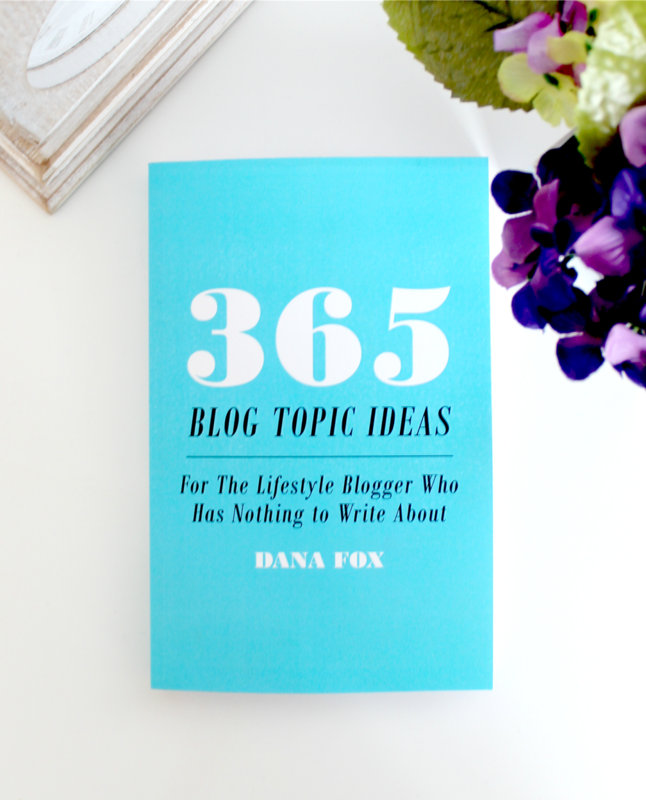 I'm pretty sure all bloggers have been through this from time to time so that's where Dana Fox's new book '365 Blog Topic Ideas For The Lifestyle Blogger Who Has Nothing to Write About'* book comes in very useful. Dana writes the blog Wonder Forest and I've been a big fan of it for years now - she has a beautiful layout, stunning photography and she posts about a variety of topics from beauty to DIY and blogging advice. With this being said, I was very excited to here she'd released a book and felt slightly proud (is that weird?) that such a great blogger was doing great things. 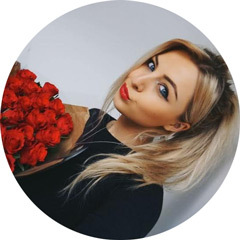 I think its so important for bloggers to support each other and I wish her all the luck in the world. Dana kindly sent me the book to have a look at so I thought I'd write up a quick post as I know it will be helpful to a lot of bloggers out there. The first thing I'll say about this book is that it has a very basic concept. The book has a different blog topic idea on each page and nothing else - no other writing is included. I like this format as its straight to the point - it gives you a title for a blog post and you can then go away and adapt a post from it or put your own spin on it. I also love how the book has topic ideas that fall under the 'lifestyle' category as that means all genres of blogs can incorporate them in some way - wether you run a fashion, food or beauty blog, you'll be able to get inspiration from this book. So you can get an idea of the kind of ideas you'll find in the book, I've popped five of them below. Obviously this is only a very small glimpse into the book as there's another 360 ideas in there but you'll have to grab yourself the book to find out what they are ;). There's not much more I can say other than this is a great book that I think all bloggers should own as its great for those moments when you're lacking in inspiration and need a few ideas to get your creative juices flowing! You can get it here from Amazon for only £8.45 and its worth every penny in my opinion. Will you be getting a copy of this book? Sounds great!! I also struggle with good lifestyle posts to write! Dang, this sounds like the holy grail of books for bloggers. I might have to look into this! Sometimes I think of blog posts at the most strangest times, sometimes I can't think of any atall! This is a really good idea it gets my brain thinking just from the five titles you put up. I've seen this before but never got round to buying it! Haha a new blogger must have I guess! I definitely need to purchase this ! Great book, thanks for the suggestion. Glad you like it! I just started following Dana's blog and was really intrigued when I saw her announce this book but was weary it wouldn't have any beauty related blog topics; looks like it definitely incorporates a bit of everything though! I randomly came across your blog on Bloglovin and I am soo happy I did. I'm definitely checking out this book. Nothing worse than writer's block lol. Dana is such a busy bee! I am so happy for her success it is well deserved. I think I need this! Those examples sound amazing! I think I will go to amazon right now! This seems like a wonderful book and I'm thinking about it as I'm running out of post ideas for the end of the month. I love the sound of this! I think we can all suffer with writer's block and some point or another! This is such a great book to introduce some new ideas and inspiration into my blog and possibly mix up my content. Even before I read your review, I just thought this can't do any harm. And now of course I'm dying to pick it up! My self Pawan Kumar , I am a SEO expert . If you want a website or webpage for get ranking on Google top page. I am right person for you who can provide you ranking on Google for related search term (Keywords). I have 8 years experience in SEO, and Link building. I can provide you all SEO services @ very affordable Prices. I am very honest in my work & provide 100 % results. I find it hard to think about new and fresh topics for my blog weekly, this book seems like a great buy! Thanks for sharing. This is exactly what I need!! This is such a cool book. Will have to pick this up and see what it has to offer. This is amazing! Love it already! :) TFS! I recently purchased this book, and I'm so glad I did! There are so many lifestyle post ideas to keep me preoccupied!